What a way to round a year off, eh? Whereas usually this late point in the year is occupied by the absolute dregs looking to scrape up whatever coverage possible, here’s one of the most highly anticipated releases of 2017, if only because no one knows what’s actually going to happen with it. Regardless, it’s so good to have Danny Worsnop back with Asking Alexandria, and despite the skepticism and snide remarks around their original split, both parties’ projects in the interim did little but show how much they really need each other. And after the derivative slog that was The Black that saw fill-in frontman Denis Stoff digging his heels in to stay with the boring, colourless metalcore he’d already made his name in, the fact this album is self-titled is enough of a mission statement for how Asking Alexandria really need this to be the one that takes them over the top, and sees them stay there. And in that case, it’s tempting to be more charitable to this album than it reasonably deserves. That’s because this is Asking Alexandria putting their most ambitious foot forward, delivering an album that is that mission statement, but also part retrospective and part reconciliation. Coupled with the fact that musically it sees a collision of their two most distinctive, and yet disparate styles as its base – the hard-edged modern rock of From Death To Destiny and the über-contemporary metalcore of pretty much everything else – this is an album that clearly has big plans and wants to be the spectacular return that this band feel they so desperately need, but there’s a line for how well that works with such a brash approach, and Asking Alexandria aren’t averse to stepping over it more than a few times. Where this album unequivocally succeeds the most though, is in Danny Worsnop’s return, and though their tumultuous split underpins a lot of the material here, there’s such a huge personality with him at the helm that really gets this album swinging. As is clearly par for the course with this album, his contributions largely come down to a combination of each of his previously recognisable traits isolated into their own moments, like the ego-driven character on Where Did It Go or the rockstar fantasist on When The Lights Come On. Above all though, there are moments that are perhaps among the most human that Worsnop have ever come across on an Asking Alexandria album, with Alone In A Room seeing him come to terms with his own hubristic shortcomings, and Room 138 seeing him at his most apologetic to his bandmates for having him back. 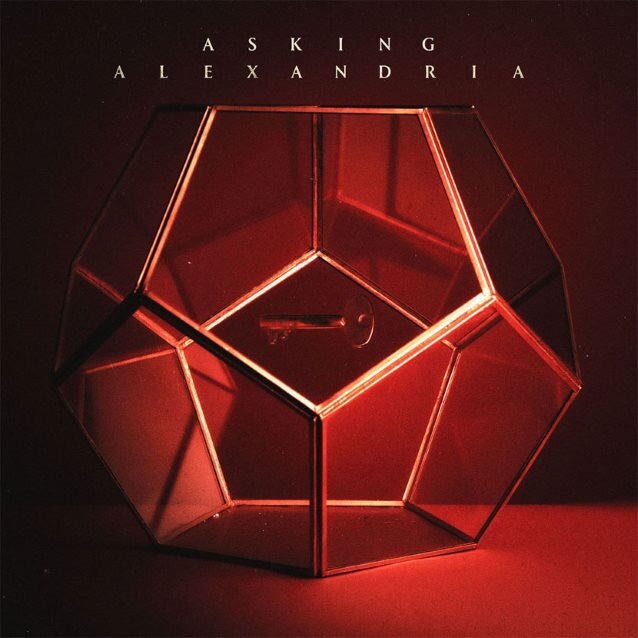 The fact that these tracks bookend the album only add to the potency of the statement that this is indeed a revitalised Asking Alexandria looking for a fresh start, and with their key asset of a charismatic and distinct frontman, it makes for a far more compelling argument that any other metalcore band dishing out the same sentiment. But that also highlights the key issue with this album, what is effectively a directionless exercise in craft. For as much as Asking Alexandria want this album to be a comprehensive cross-section of entire career so far, and then pepper in the further progression and experimentation that inevitably comes with a new album, that’s a tough ask to do effectively, and the band really do struggle with piecing everything together concisely. It’s all there, sure, but it feels as though a step has been missed between getting it all together and putting it all on record in a way that flatters what they’re trying to do. And with a wider musical breadth – acoustic and country touches on Vultures, the hip-hop influences on Where Did It Go and Empire and numerous stripes of hard rock and metalcore elsewhere – it can make for a pretty bloated listen. It’s not all bad, mind – Vultures is handily the best track here thanks a rawness and ragged quality that made From Death To Destiny‘s Moving On so good – but between the sheer volume of material on offer and some truly bizarre creative decisions (rapper Bingx effectively takes over Empire with two verses and an instrumental leaning towards hip-hop-flavoured nu-metal), the bloat comes through in earnest. It doesn’t help when Asking Alexandria glaze over everything with their older ideals in an attempt to cram everything into place either; Eve is a more straightforward metalcore track and feels rather lacklustre in that regard, but even more disappointing is the super-clean production which pats down what could’ve been a potentially formidable guitar tone on a track like Into The Fire, or the manipulation that’s once again caked on Worsnop’s vocals at numerous points that he seriously doesn’t need. But at the end of the day, it makes sense that Asking Alexandria would choose this as their eponymous album, given that it’s probably the best representation of themselves to date – messy, inconsistent and frequently in over its own head, but able to produce at least a few gems that have that added resonance, whether that’s through a fluke or not. For all the complaints that can be easily made here, it’s at least good to see Asking Alexandria on stronger footing once again, even if they aren’t making the most of it just yet. And while this album is unlikely to put them back onto the pedestal they’ve so often threatened to occupy, they’re on their way. They’re showing creative instincts that were so desperately missing from their last effort even if they can’t always back them up, and as a whole, this feels like the product of a much stronger unit. Whether this will last or how they’ll proceed from this is anyone’s guess, but if nothing else, Asking Alexandria feel like a more vital force again, however they choose to show it. ‘Asking Alexandria’ by Asking Alexandria is released on 15th December on Sumerian Records. I completely agree. I think there was a lot of hype that was built up for this album, but for me I felt like the band threw something together quickly just to push for Worsnop’s return.